Owned a tract of land nearby. 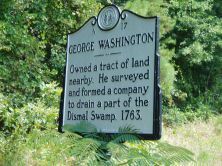 He surveyed and formed a company to drain a part of the Dismal Swamp, 1763. 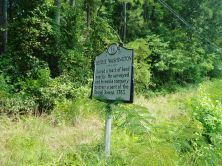 In 1763 George Washington and eleven other Virginia businessmen including tobacco king William Byrd, developed a scheme to drain the Dismal Swamp. he twelve men formed the Dismal Swamp Land Company in of acquiring and draining massive tracts of fertile land. Nearly all of the original members of the company were heavily in debt at the time. After George Washington surveyed the area, and suggested the building of a north-south canal, the partners purchased nearly 40,000 acres of the land. Using several hundred of their own slaves, as well as those who were rented to them by other planters, the first attempt to drain the land ended in utter failure in the face of sweltering heat, disease, and dense vegetation. The company then shifted its focus to the production of hemp in the small tracts of land that were actually cleared, but that too ended in failure. Finally, the ever-dwindling number of investors turned to simply felling timber for wood shingles and barrel staves, shipping them by 1805 through the canal. In 1810 the Dismal Swamp Land Company finally paid its first dividends, but only one of the original twelve members was alive to receive them. Washington’s own role in the enterprise had been quite small, although he had surveyed and originated the idea for the canal. Fed up with the lack of progress, Washington contracted to sell his 1/12 share to Light Horse Harry Lee, the father of Robert E. Lee, in 1796, but Lee was unable to accumulate the necessary funds. 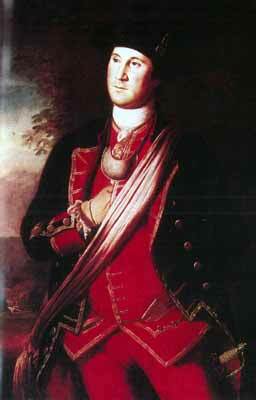 Upon Washington’s death, his shares passed to his heirs.